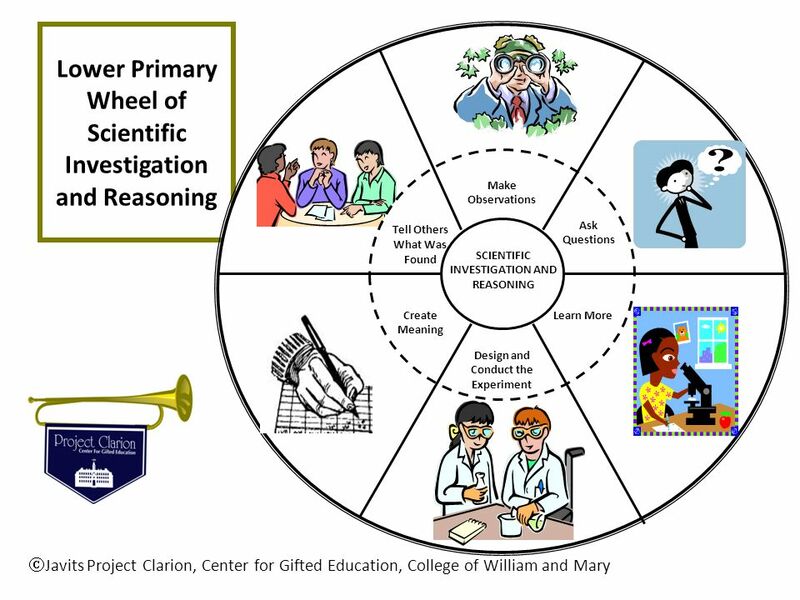 Download ppt "Center for Gifted Education, The College of William and Mary, 2009"
Scientific Thinking. 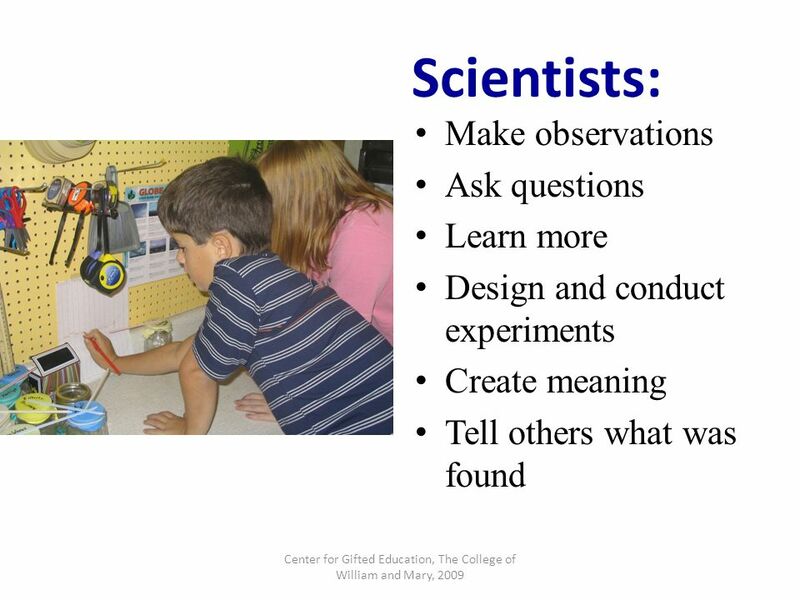 What should be the first step to solve a problem according to the scientific method? A: forming a hypothesis B: testing a hypothesis. Teaching Inquiry The BSCS 5E Model. 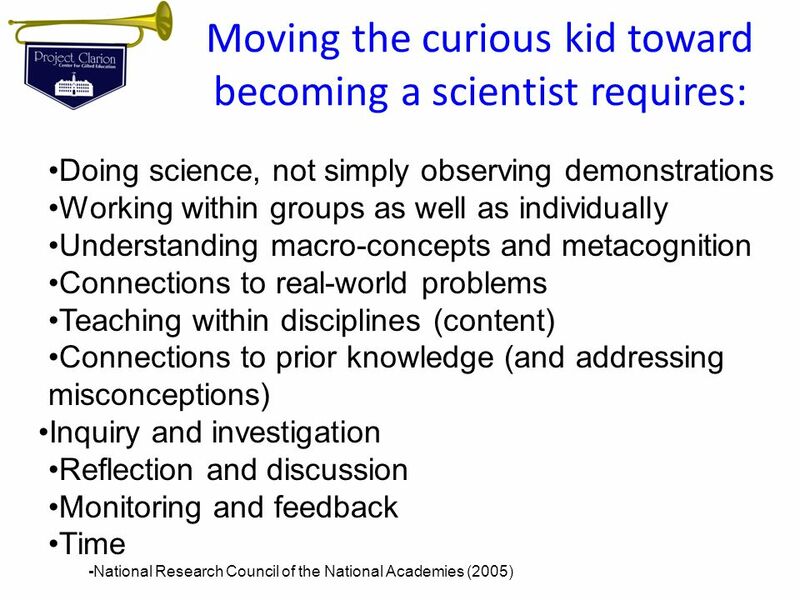 What is Inquiry? 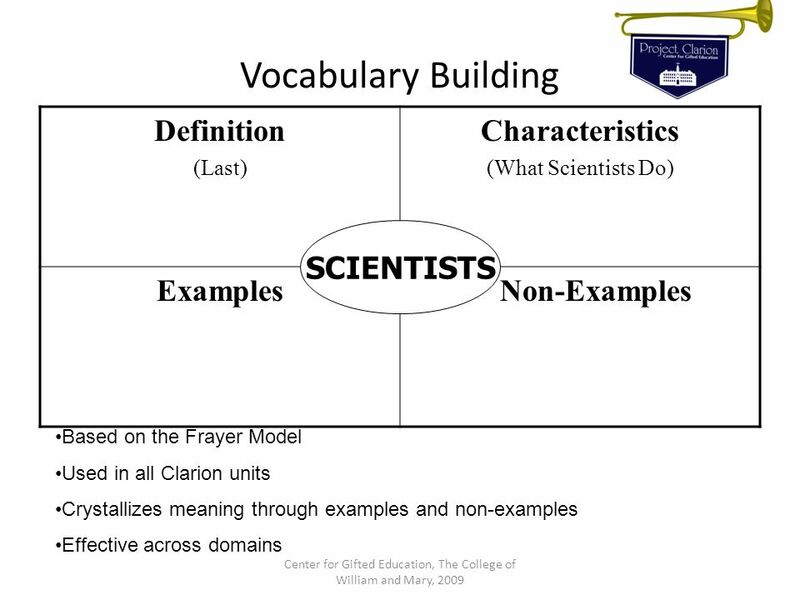 Inquiry is a general term for the processes by which scientific knowledge is developed. Scientific. The Changing Weather: Developing a Conceptual Understanding of Weather Phenomena in Young Children Grades 2-4. 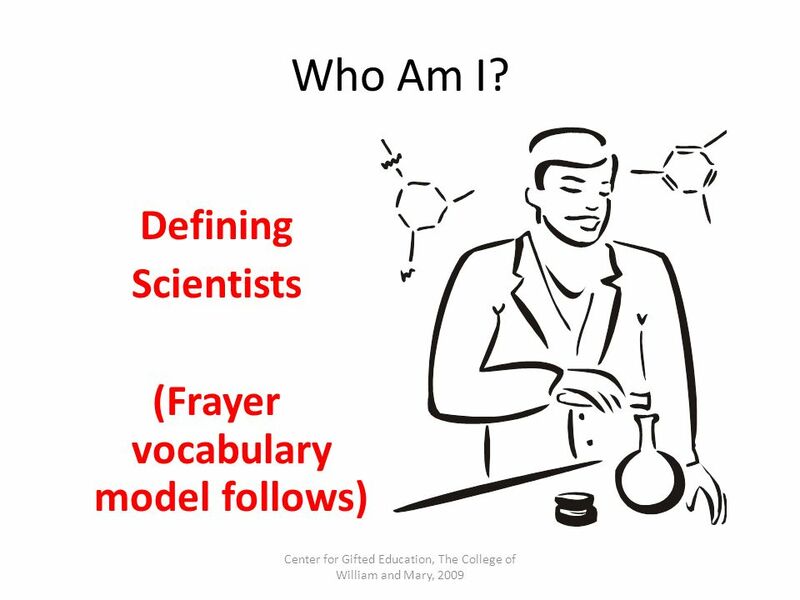 I AM A SCIENTIST! 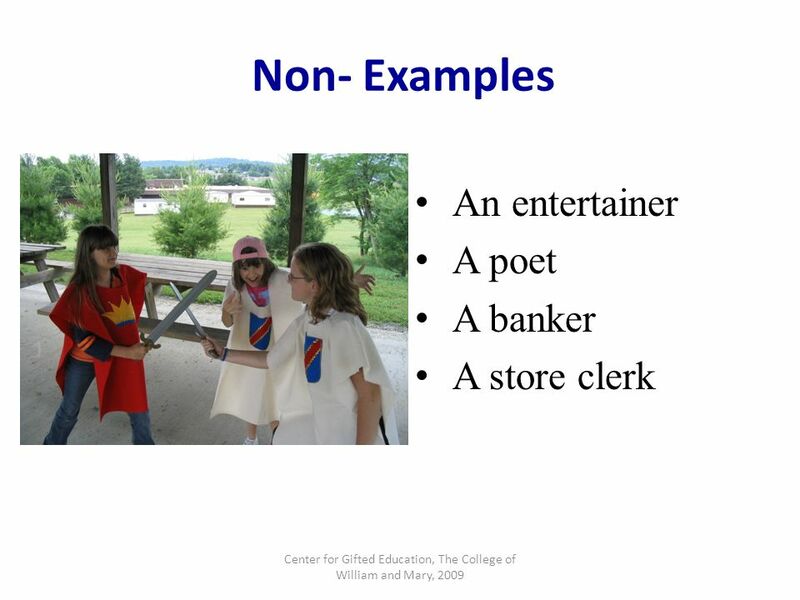 Diana Horner 1st Grade Science Lesson Plan SC Standard 1.E.4: The Student will demonstrate an understand of the properties and uses of. 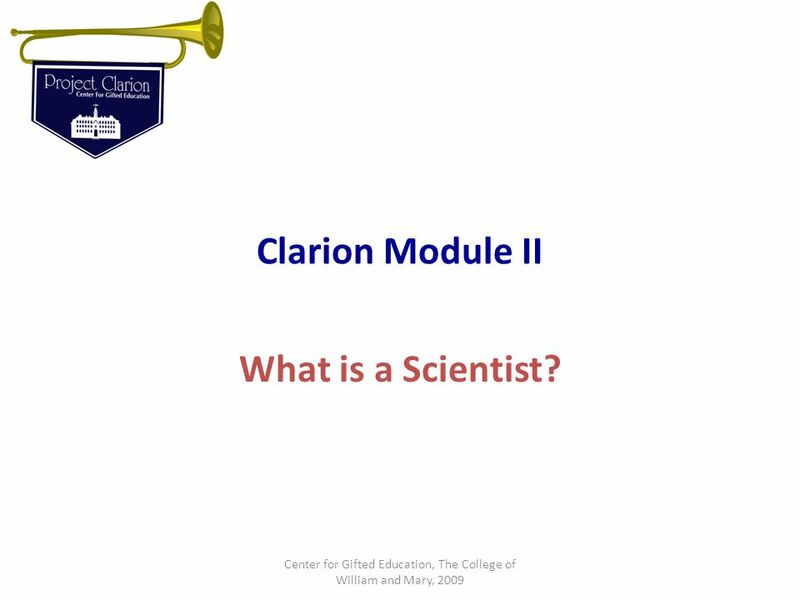 Integrating the Life Sciences from Molecule to Organism The American Physiological Society Transform a Cookbook Lab Moving Toward More Student-Centered. 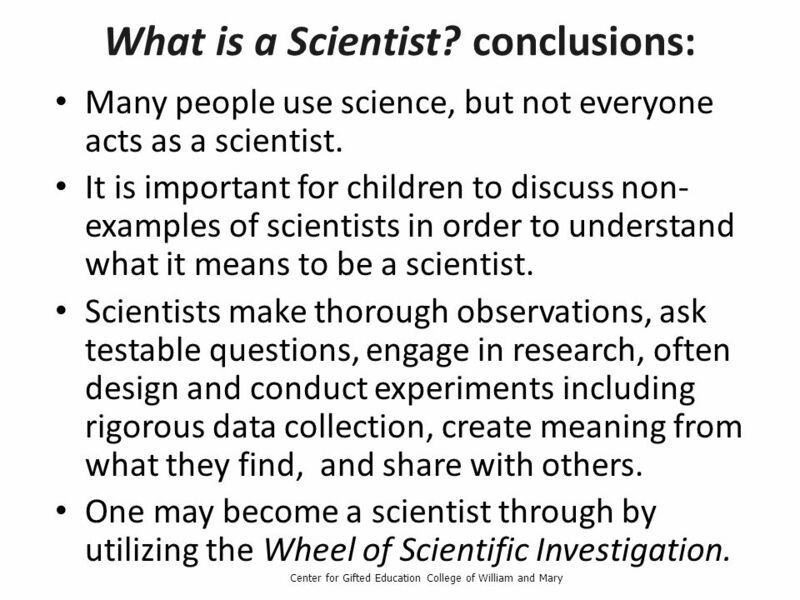 Supporting the CCSS in the Science Classroom through the Science and Engineering Practices of the Next Generation Science Standards (NGSS) John Spiegel. 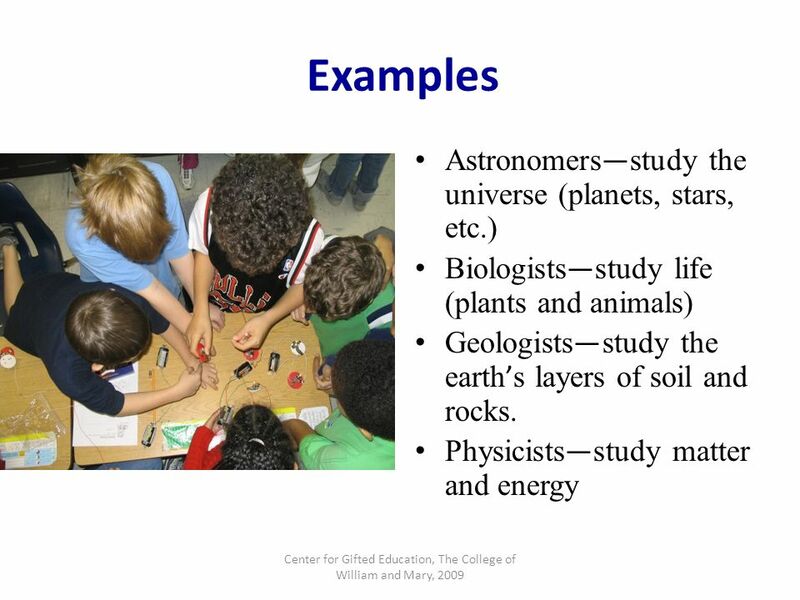 Mrs. Salvi Agenda for September 5, 2014 Science 7: Objectives: Identify skills scientists use to learn about the natural world. Explain what scientific.